Saturday April 15th, 10 to noon. Vegan & Gluten-free. Includes a sanctuary tour. 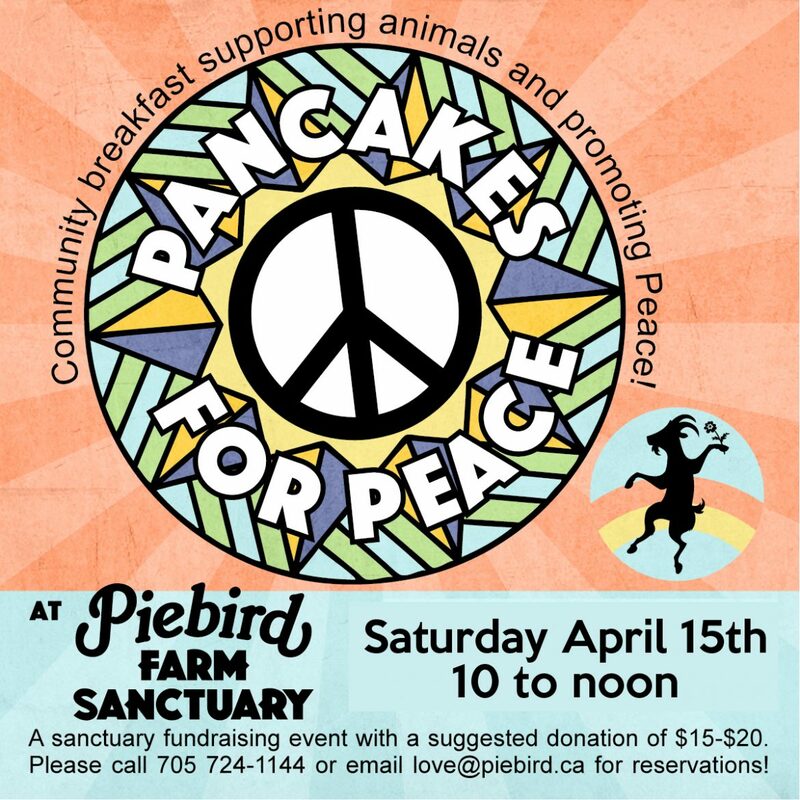 Promoting peace and supporting the animal-friends at Piebird Farm Sanctuary.